Quick Summary: This lesson incorporates clips from Blue The Film as learning inspiration. In this finding out lesson, students will use visible thinking routines to respond to a clip from Blue The Film exploring the importance of the ocean and the changes occurring to ocean ecosystems. They will build their understanding of creative writing and meaning communicated using sensory language. 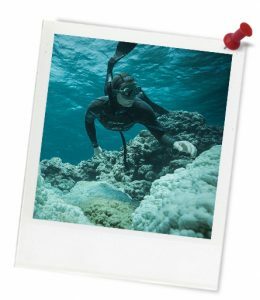 Using visual images and information about the state of the ocean as stimulus, students will develop their creative writing and editing skills through an activity wherein they use sensory language to create meaning about the significance of the ocean. Students learn and understand how sensory language can be used powerfully and appeal to human emotions and feelings. Students learn about the role of the ocean and how sensory language can be used to communicate and engage about various elements of this role in the global environment. General capabilities: Literacy, Personal and Social Capability, Ethical Understanding, Critical and Creative Thinking, Information and Communication Technology (ICT). Relevant parts of Year 7 English achievement standards: Students demonstrate understanding of how the choice of language features, images and vocabulary affects meaning. They understand how the selection of a variety of language features can influence an audience. Students create structured and coherent texts for a range of purposes and audiences. They demonstrate understanding of grammar, use a variety of more specialised vocabulary and accurate spelling and punctuation. Topic: Blue The Film, Ocean Conservation, Water, Sustainability. Unit of work: Blue The Film – English – Year 7 & 8. Level of teacher scaffolding: Low – lead students in discussion. Resources required: Student Worksheet – one per student. Device capable of presenting a website, clip and digital worksheet to the class. 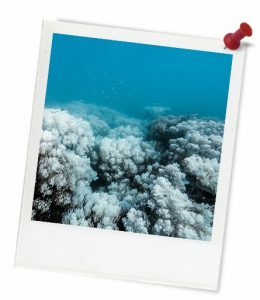 Ocean Stimulus Images, Sensory Writing Example, Sensory and Descriptive Writing Factsheet, Editing Checklist, Ocean Change Factsheet, Ocean Change Factsheet. Keywords: Blue The Film, ocean conservation, marine ecosystems, ocean change, pollution, sensory language. Learning intentions: Students learn and understand how sensory language can be used powerfully and appeal to human emotions and feelings. Students learn about the role of the ocean and how sensory language can be used to communicate and engage about various elements of this role in the global environment. Students can articulate facts about the role of the ocean and the issues contributing to ocean change. Students can demonstrate the use of sensory language in short descriptive passages about the ocean, its beauty and the threats it faces. Students demonstrate editing skills in identifying grammatical errors and providing constructive feedback to their peers. Thought starter: What role does the ocean play beyond its beauty? 1. Watch the following clip about ocean change. 2. Complete a 'Question Starts' thinking routine. This is a visible thinking routine that provides you with the opportunity to practise developing questions that provoke thinking and inquiry into the topic while fostering a deeper understanding of its complexity. Follow the steps below and use the space provided to brainstorm and complete the routine in response to the topic of OCEAN CHANGES.